After the Fiorentina match, Gattuso confessed to being the worst coach in Serie A. But he has a competitor for that title, which is ex-goalkeeper Walter Zenga. Crotone’s current coach, Zenga, has a lot more experience in Serie A and really anywhere stupid enough to hire him, but with some varied results. In Serie A, however, his win average is pretty comparable to Gattuso’s. But just for the fact that his aspiration is to coach Inter someday (which I actually hope he does, so they can lose,) for me, he gets the title of worst coach ever. I assume Zenga has good luggage, and keeps it ready for use throughout the season. 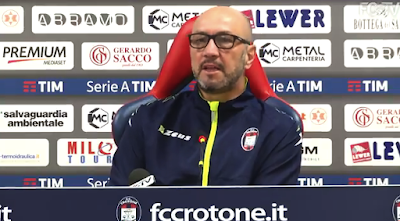 Crotone is his 17th unique club in his 20 years of coaching experience. For him, I would guess that making it to the end of the season is like winning the world cup. He’s a pretty terrible coach. But the good news is that since he was brought in mid-season at Crotone, he only has to do marginally better than Davide Nicola to last to the end of this season. And so far, a single victory against Chievo in his first four matches in charge is perhaps just marginally better than the man who saved Crotone from relegation last year and then cycled 1300 km from Calabria to Turin to keep his promise. Zenga’s latest test was hosting Napoli, in which Crotone surprisingly made it very difficult for the league leaders to win 1-0. For that match, he lined up Cordaz; Ceccherini, Simic, Martella, Faraoni, Barberis, Mandrabora, Rohden, Budimir, Stoian, and Trotta. He’s still missing Tumminello to an ACL injury from earlier this season, but other than that, he seems to have a full frenzy of Squali, or sharks, to travel to the San Siro with. Gattuso will be missing Conti still, whom the club touted this week will be our real signing for the January market (even though he’s not expected back until early March.) He may have Kalinic at his disposal (which is exactly where many Milan fans want him – in the garbage disposal.) The Croatian striker is still injured, but recovering and may or may not make it on Saturday afternoon. Storari, Abate, and Mauri definitely won’t be available. But there aren’t really any excuses there for Gattuso, he should still be able to field a solid starting 11. 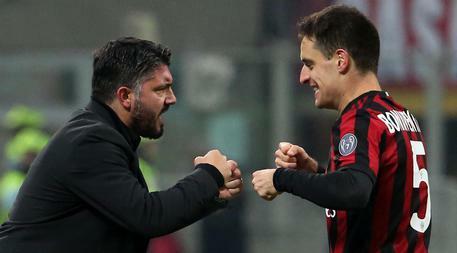 If we are trying to decide which coach is worse, Gattuso has a record of three wins, three losses, and two draws in his eight games in charge thus far in all competitions. He does have an infinitely better squad than Zenga, but it’s hard to know which club has more problems and distractions off of the pitch. So I guess it comes down to this face-off: Will Gattuso and his legions of devils be able to take out Zenga’s Sharknado? In a way, this game will determine which man really is the worst coach ever.